Welcome to your Third Trimester (part 53) - MRSA: is it a risk? You’ll be in labor very soon and it’s normal to be anxious about what you need to go through to meet your baby. 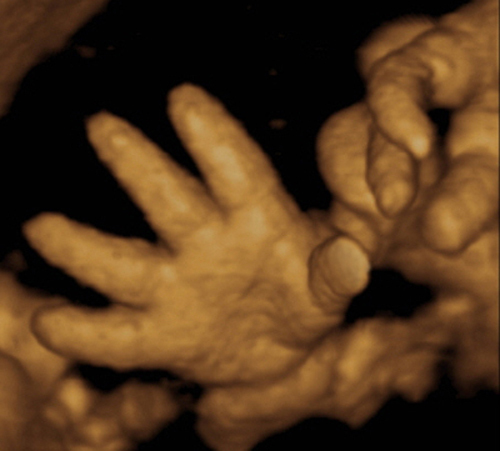 This great image of the hands even shows the fine folds that have formed in the palms. Every baby has a unique pattern of folds on the palms and on the soles of the feet that you’ll see when your baby finally arrives. The final details of your baby’s appearance—including eyebrows, eyelashes, and nails—are now in place and all her internal organs are sufficiently developed for life outside the uterus. You’re bound to have mixed emotions about going into labor. While you’ll want your baby to be born, you may be apprehensive about going through childbirth. Most women are understandably concerned about the pain, and may worry about their health and that of the baby. Remember that the majority of deliveries are normal and without complications and the majority of babies are fit and healthy. Even though you’ve spent the past nine months preparing for the birth, you may still feel that you’re not ready for the baby and that you won’t be able to manage. Some of this will be the fear of the unknown—you have not yet met your baby and it’s impossible to predict what the labor—and the weeks that follow it—will be like. Although you may not feel fully prepared, be confident that you’ll know how to take care of your newborn. In fact, you’ll have probably already started the process of becoming a mother, wanting to nurture and protect your baby even before she’s born, and this natural instinct will continue. Q: What’s the difference between an emergency and elective cesarean? A: An elective cesarean is when a planned decision is made during pregnancy to deliver the baby by cesarean section before the onset of labor. This is usually decided upon for medical reasons, although some women may decide to have an elective cesarean for practical reasons or to avoid having to go through labor. An emergency cesarean is when a situation arises, usually in labor, that means the safest route for delivery is by cesarean section. MRSA: is it a risk? There’s a great deal of media coverage of “superbugs,” such as MRSA. This is a bacterium that can live harmlessly on the skin of healthy people, but can lead to infection in vulnerable individuals. Good hygiene, particularly in the form of precautions such as hand-washing, is an effective method in the prevention of MRSA and your chances of acquiring the infection in hospital are low. If cutlery and plates are washed using detergent and hot water this removes MRSA, and the risk of acquiring MRSA through contact with curtains, sheets, and pillows is very low. Health-care workers use antiseptic solutions, such as alcohol hand rubs, and more recently many hospitals are taking steps to prevent transmission of MRSA. In addition to general hygiene measures, hospitals prevent the spread of MRSA by treating those infected with antibiotics, and by detecting cases early so that they can isolate affected patients. Infected patients are moved to a private room or to a room with others who have MRSA. Your newborn’s stomach will be fully developed, but low acid levels mean she can only be fed milk for the first few months. It’s been wonderful to see your baby’s progress and facial features as each day of the pregnancy has passed by. 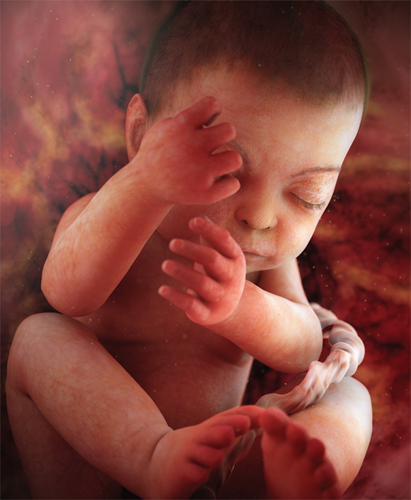 2D and 3D ultrasound images, as well as MRI, have all played a part in giving us a glimpse into the fascinating and complex world of life before birth. Unlike an adult, your baby produces little gastric acid and keeps amniotic fluid in the stomach longer; it is this fluid that helps keep the acid content of her stomach low. 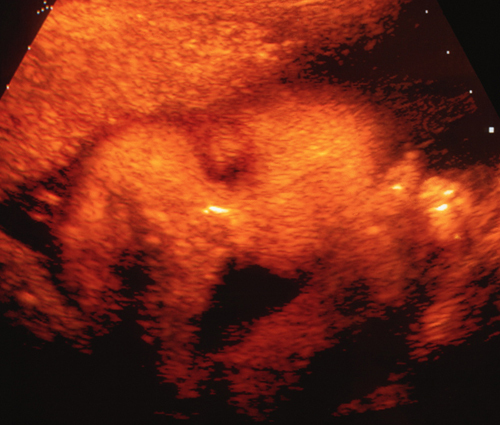 While your baby is in the uterus hiccupping, turning upside down, and trying to coordinate breathing with swallowing, not having much hydrochloric acid in the stomach is a good idea. After birth the acid content of your baby’s stomach will increase quickly in the first 24 hours but not reach adult levels until three months. This is why solids aren’t introduced until a baby is at least four months old, although six months is the current advice on when to start weaning. Babies have a reflex to spit out solid food if it’s introduced too early and will only be able to take about 20–25 ml of food before the stomach is full. So it’s easy to see how the stomach can quickly be overloaded, resulting in spitting up, which is when the baby brings the food and some milk back up. Raspberry leaf tea is a traditional remedy in Europe. European studies have found that drinking this tea in the months prior to delivery (not before week 30) helps shorten the second stage of labor by helping the uterine muscles to contract more efficiently, so that contractions are more effective. 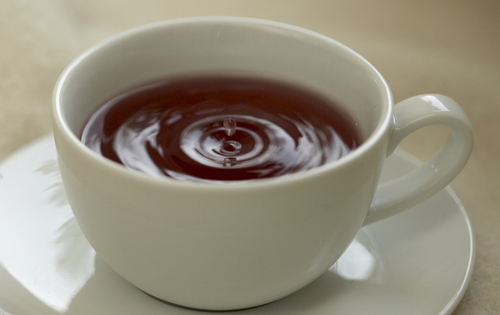 The tea is also said to reduce the risk of having an assisted delivery, such as emergency cesarean or vacuum. In addition to this, raspberry leaf tea is believed to help the uterus to contract back to its normal size after the birth, and encourage the flow of breast milk. Q: What exactly is a “bloody show”? A: During pregnancy, a plug of jellylike mucus seals the lower end of your cervix and this prevents infection from getting into your uterus . This “plug” comes away toward the end of pregnancy—known as a “bloody show”—and although this can mean that labor is going to start soon, it can also dislodge up to six weeks before your labor actually starts. Getting to know your newborn can be difficult if there’s a constant stream of visitors bearing gifts and good wishes. Why not shut out the world and spend a few days home alone? Your newborn baby will sleep a lot, so take the opportunity to do the same. There will be plenty of time for people to meet the new member of your family. Your hormones will be all over the place, so expect to experience lows as well as highs, especially when your milk comes in . Your partner also needs time to bond with his baby, nurture you both, and come to grips with diaper changing. So stick a message on the front door, switch on the answering machine, and snuggle up with your new family. - Welcome to your Third Trimester (part 31) - What’s in your hospital bag? - Welcome to your Third Trimester (part 2) - Your belly: to show or not to show? - Welcome to your Third Trimester (part 1) - How identical are identical twins?